Easter. Holy Week. 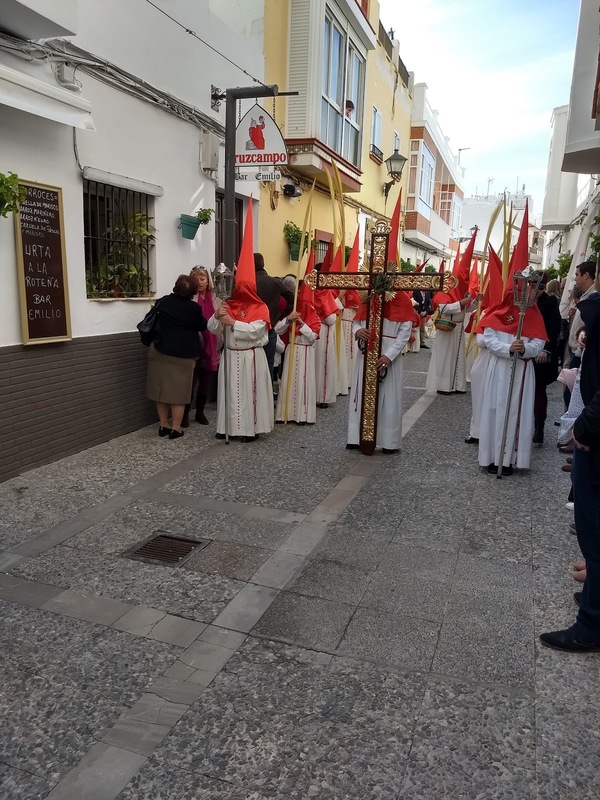 Semana Santa -- doesn't matter what you call it, this is hands down one of my most favorite times to be in Spain, especially in Andalucia. 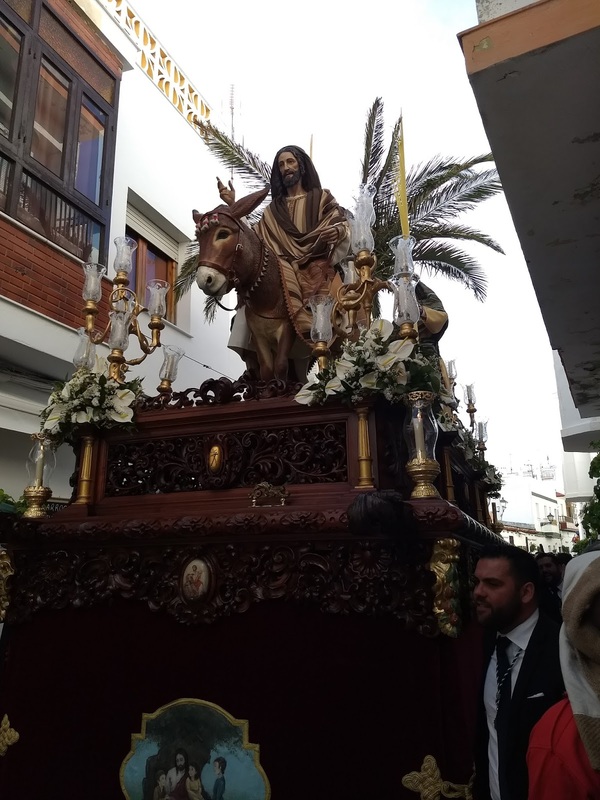 Starting on Palm Sunday and every day leading up to Easter (except the Saturday before Easter), and of course on Easter as well -- there are processions throughout the town that depict the biblical stories leading up to Easter. If you need a refresher on the background and history of the processions, read this post. 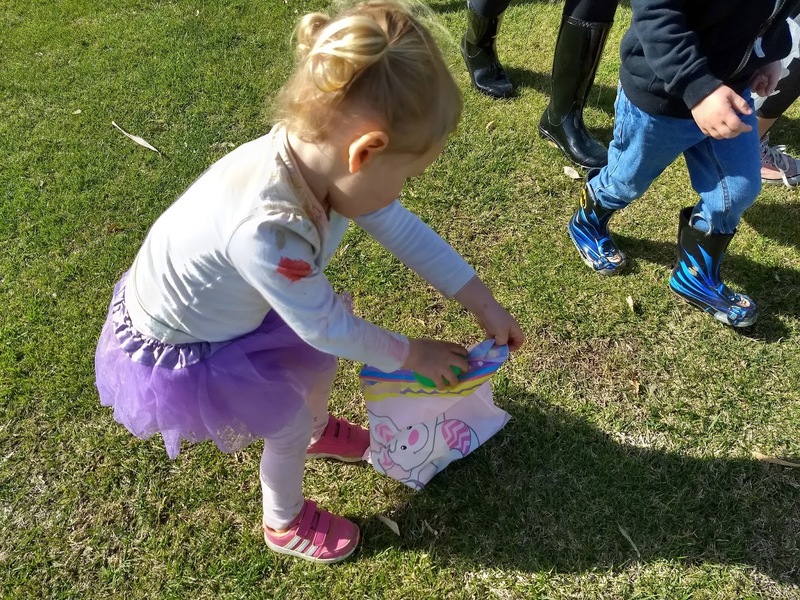 The week before Holy Week, Serafina learned all about the processions -- she kept telling us "shhhh... Jesus is coming." (She goes to public school but there is no seperation of church and state in Spain -- and we love it)! She learned all about Jesus and Mary.... and drums! Serafina loves the music (aka drums) associated with the processions. 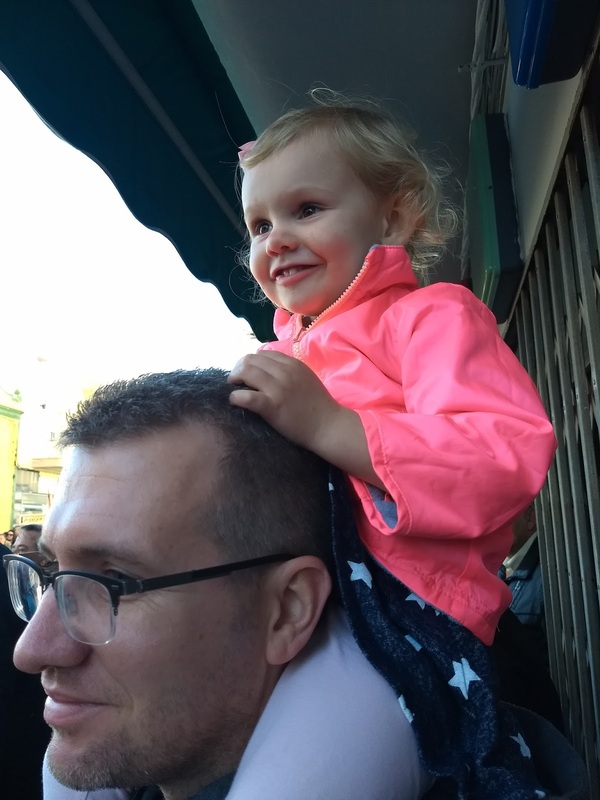 We had every intention of going to the processions quite a few times throughout the week but sadly, our toddler had other ideas -- poor girl was in full blown threenager status all week, but we did get to see one procession with her. And I was lucky enough to go to the Palm Sunday procession (my personal favorite). 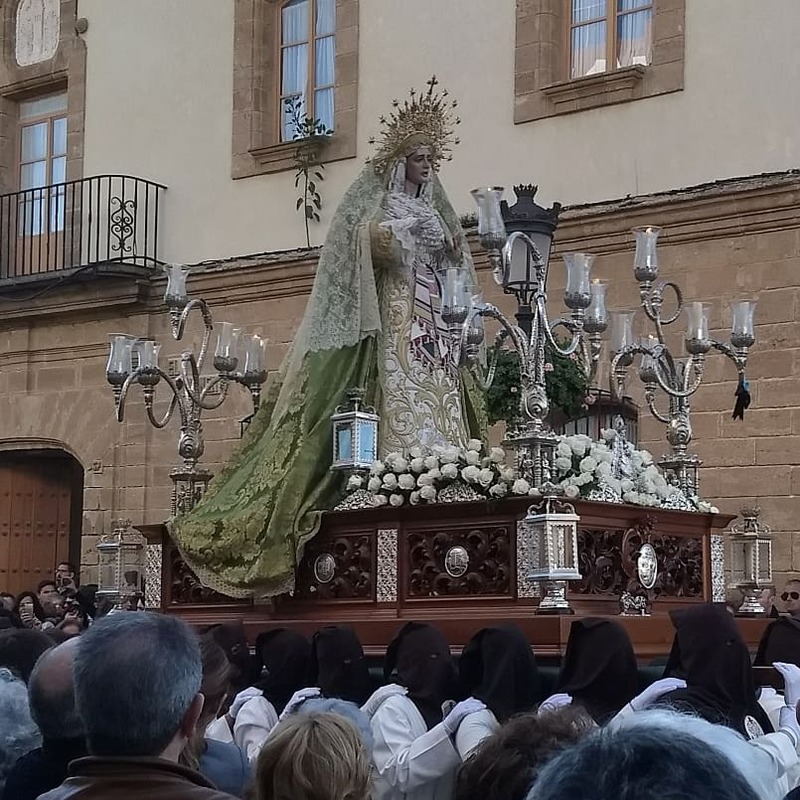 As a family, we went to Monday's procession -- this was the first time we had seen this one and the Mary paso was simply amazing and carried by women. Remember, these pasos weight a ton (or more, literally). We were blessed with mostly sunny weather for the week -- we have had awful rain and wind for well over three weeks lately (which is unheard of in southern Spain) but the weather managed to clear up just in time for each processsion. Only one procession was affected by the rain and had to end early. 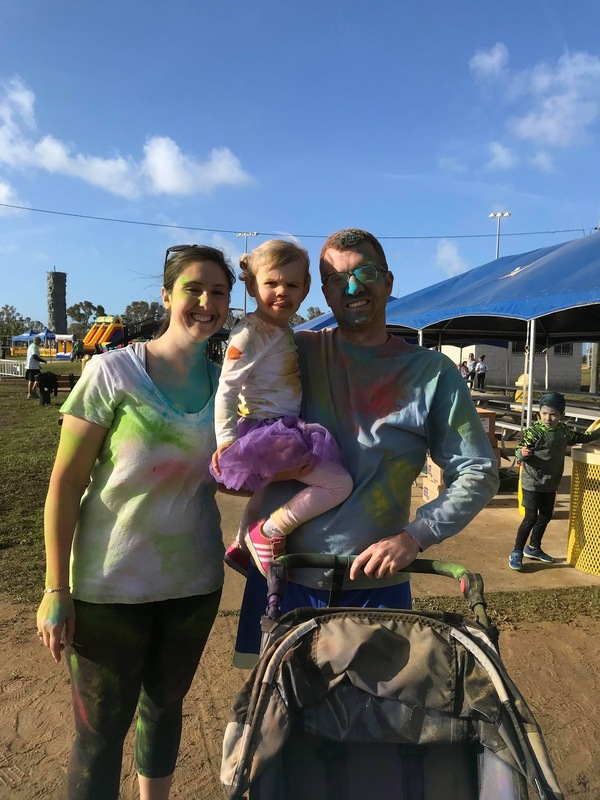 On Saturday we went to the base Easter celebrations and had a blast. 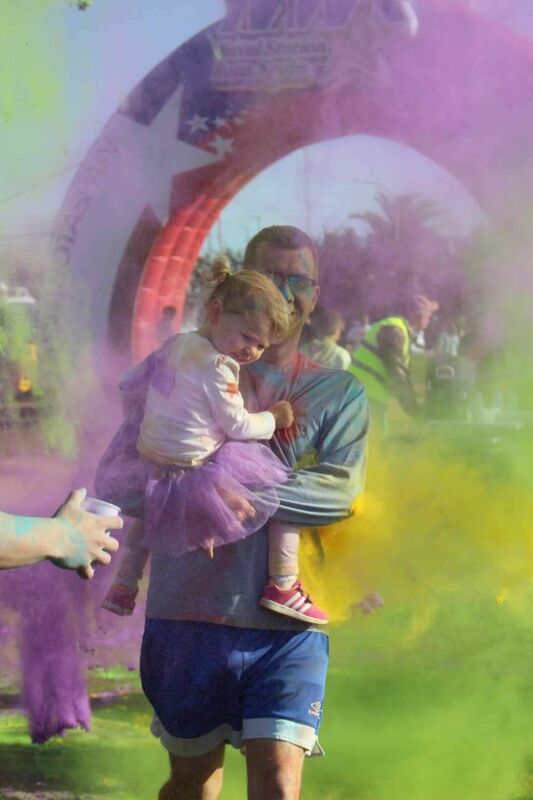 We ran the color run (just the one mile kids run) and did the egg hunt. 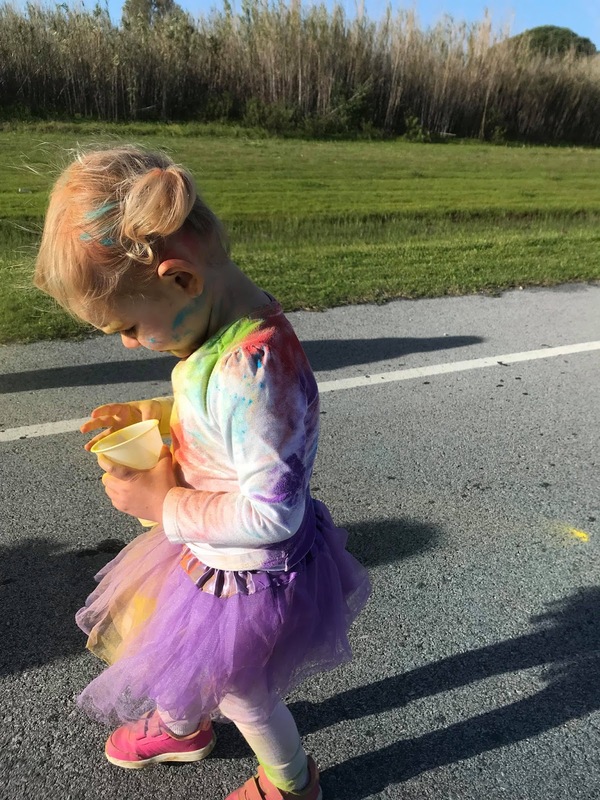 Serafina loved every minute of it -- running around throwing the color at her friends, being "painted" in colors and then grabbing all the eggs she could find! And on Easter, we had a low key morning playing with our Easter basket goodies, having a yummy breakfast and then going to a friends house for an afternoon of fun (no pictures because the kids were too busy running around and bouncing in the bounce house)! It was a wonderful Easter (week) -- and we hope everyone else had a wonderful Easter as well!